Ukraine’s armed forces have started massive battle-tank shelling of Donetsk, Gorlovka and Dokuchaevsk. The positions of Donetsk People’s Republic militia along the whole frontline are under shelling. 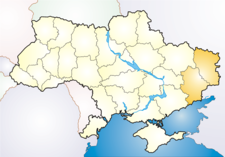 Furthermore, serious clashes are ongoing in the settlement of Shirokino near Mariupol. One fighter from DPR forces has been killed. The crew of REN TV channel also came under fire. NATO and Czech Republic soldiers took part in a drill called “Noble Jump” at the airport in Pardubice, Czech Republic on Thursday. This is an initial exercise and first test of its new rapid response force that NATO says is designed to “face new challenges from Russia”. Some experts believe the drill is offensive rather than defensive, and is actually preparation for a first-strike against Russia. But the most important point is that “Noble Jump” started in the Czech Republic while the US-backed Kiev government began massive shelling in the Donbass region. Ukraine’s prosecutors reactivated an investigation launched against oligarch Igor Kolomoisky 10 years ago, the country’s Prosecutor-General Viktor Shokin said in an interview with LB.ua news portal on Friday. The 2005 criminal case accused Kolomoisky of masterminding an attack on lawyer Sergey Karpenko amid a conflict over the Dneprospetsstal plant in the city of Zaporizhia in southeastern Ukraine, one of the leading producers of special steels and alloys in Europe. Lawyer Karpenko was stabbed three times, but survived the attack and was later forced to leave the country. Shokin, who was deputy Prosecutor-General at that time, oversaw the investigation. The war between Poroshenko and Kolomoisky, the two most powerful oligarchs of Ukraine, is continuing with renewed vigor. Secretary of the NSDC of Ukraine Oleksandr Turchynov has stated that Kiev has ability of creating a “dirty” atomic bomb. “We will use all available resources, even for creating a successful weapon,” he said. He stressed that the most important thing is that the weapon was successful. “What is there: dirty or clean, is a scientific and technical issue”. Russian Deputy Prime Minister Dmitry Rogozin’s reaction on this was short. Moron. A Syrian government delegation has agreed to proposals set forth by Russian mediators during the second round of talks held in Moscow this week to resolve the Syrian civil war, a source familiar with ongoing negotiations told ITAR-TASS on Wednesday. According to the source, the agenda proposed by the Russian side and approved by Syria includes: assessing the current situation, uniting national forces to confront challenges including terrorism, and building trust between the opposition and civil society. In addition, the source said Moscow’s plan outlines the establishment of a political process as well as phased steps in the framework of a national reconciliation program.